A slightly disappointing campaign in 2005 that was hampered by injuries and some iffy form with the bat was followed by a more succesfull year in 2006. Colin Keeley became the clubs record wicket taker with a total of 221, overtaking the previous incumbent Darrell Cooper. His 47 wickets were indeed a return to the good old days for the slightly ageing (still under 40) trundler. He has lost a yard of pace over the years as age and injury have taken their toll. In his prime he regarded the triathlon as childs play and the London Marathon as a brisk jog round the park. Sadly those days are gone and a gout-like affliction restricted his effectiveness in 2005. He no longer rages in fury if the wicket-keeper elects to stand up to the stumps. Whisper it softly but Keeley has edged closer to the status of dibbly dobbly merchant than ever before. He remains an effective opening bowler and still generates movement off the seam and can bring the odd delivery back into the batsman. However, while he still has the heart of a West Indian quick his body conveys the hostility of a Zimbabwean trundler. Desperately craves a season of uninterrupted fitness to launch a final glorious assault on the record books. Last years 16 wickets were a disappointment and he needs 26 more to give him 200 for his OSCC career. His economy and reliability are illustrated by the fact that he has delivered 252 maidens in 1,035 overs and that may be where his future role lies, as a stock bowler rather than a spearhead of the attack. Over the years Keeley has been no stranger to controversy, never willing to throw the first stone seldom afraid to pick up a large rock after the initial pebble has been lobbed. A passion for justice still burns brightly with the man who was once escorted from Derbys Baseball Ground for punching the ball from the hands of former Luton Town stalwart Mark Pembridge. His batting prompted much amusement as he was dismissed by the first two balls he faced in 2005 and made it a hat-trick of ducks when he fell fourth ball against Old Warden, edging a catch to the keeper after finally laying bat on ball at the sixth time of asking. 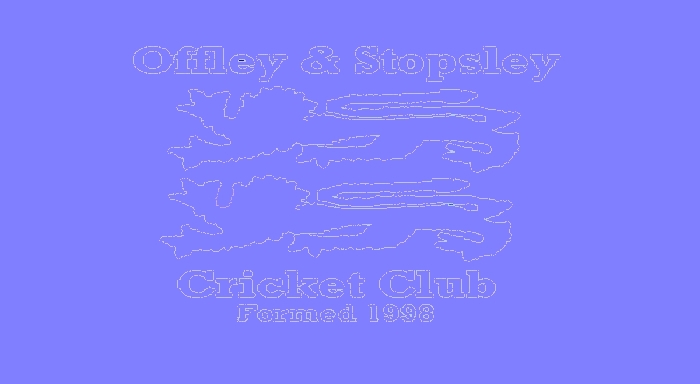 Keeleys pretensions to being an all-rounder have taken something of a hit over the past few years  he is still seeking that elusive first 50 as an Offley & Stopsley player (49 n.o. in 2004 being his best so far) and appears to have been consigned to the mix of players battling it out for the coveted number nine spot. Only a Stalinist revision of history enabled him to drag himself above Wayne Cutts and away from the foot of the batting averages. The flame still burns.